Embracing video conferencing in your business can bring your company many lucrative and positive benefits that will help you excel through better communication and more efficient collaboration. In fact, 89% of professionals agree that video conferencing reduces the time needed to complete projects or tasks. 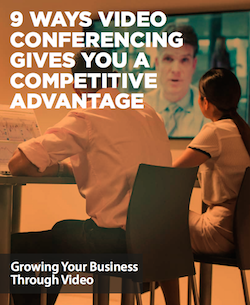 Download and read our guide 9 Ways Video Conferencing Gives You a Competitive Advantage for some key tips on how to choose the best video conferencing solution for your business.